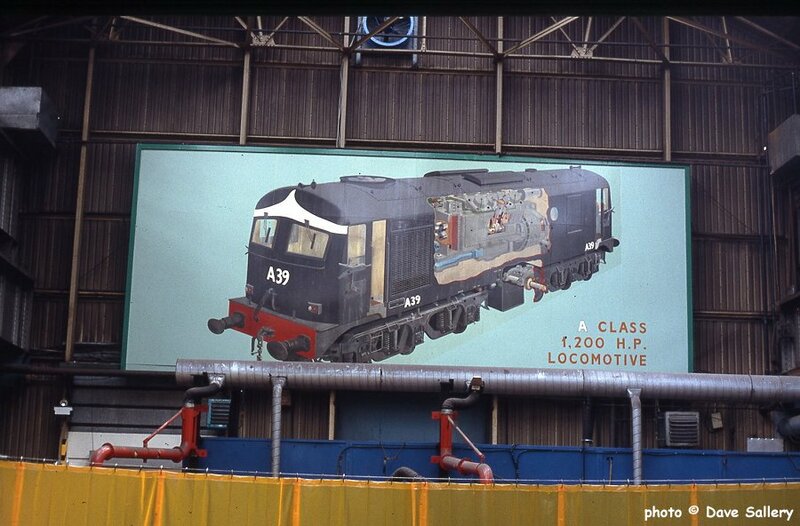 The main workshop was dominated by this huge image of an 'A' class loco. 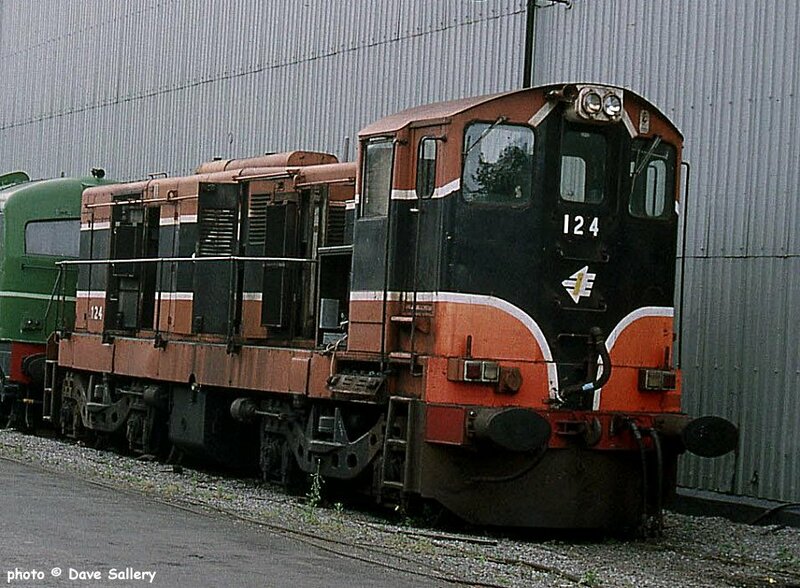 124 out of use, 6 July 1994. 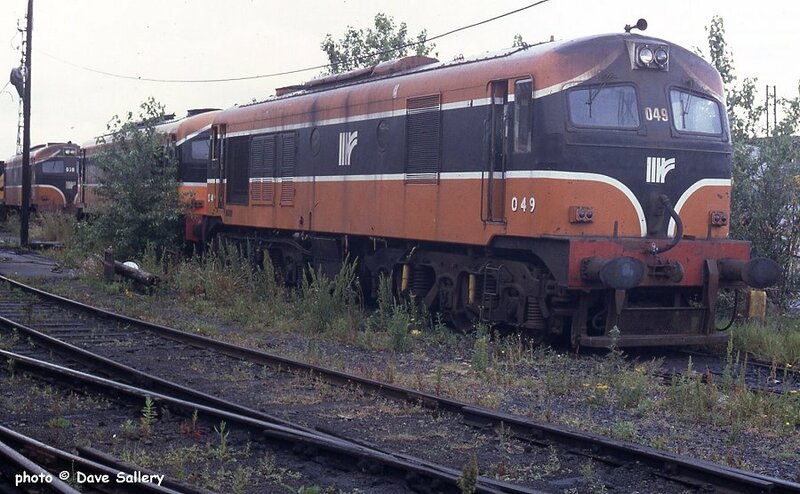 The 15 members of this class were built by General Motors in 1960/1961 and the last were withdrawn in 2008. 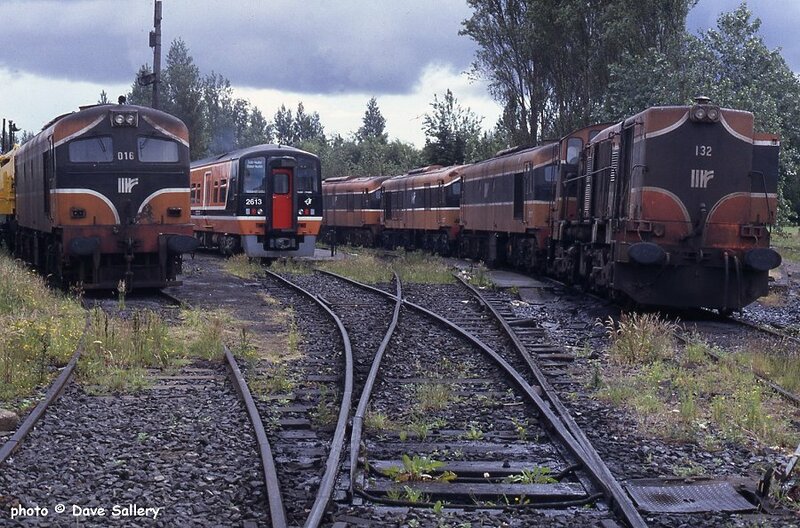 Withdrawn locos around new railcar 2613, 6 July 1994. 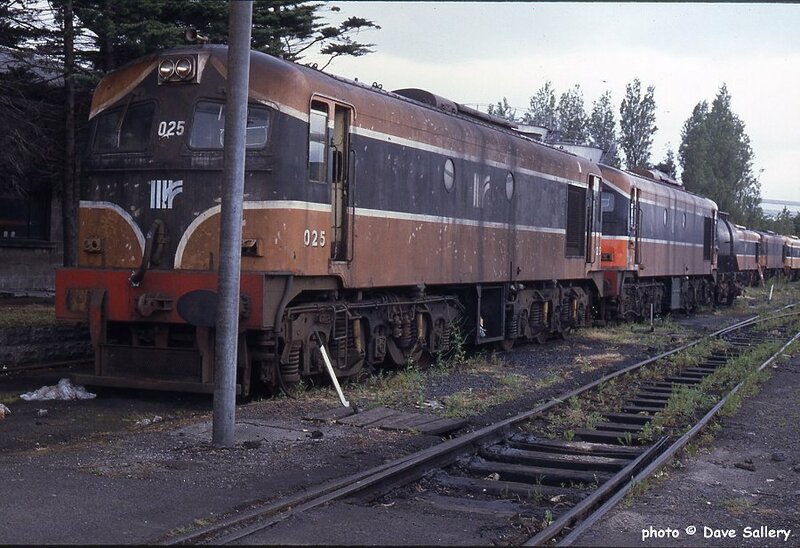 025 and 034, 6 July 1994. 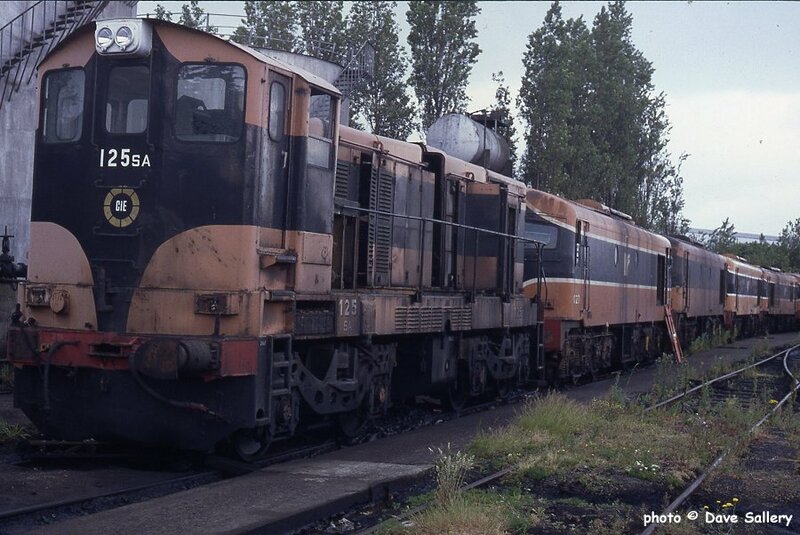 049, 038 and 017, 6 July 1994. 125 was withdrawn in 1986 and still has the old CIE logo, 6 July 1994.